Don’t see your distributor? Email us on orders@unileverfoodsolutions.eg to help list them. Make your menu more profitable with our exciting iced tea recipes. Did you know that iced tea is one of the fastest growing non-alcoholic beverages, and that Fresh Brewed is the most popular format? Lipton Fresh Brewed Iced Tea boasts an 85-plus margin, making it one of the most profitable drinks on your menu. Iced Tea is the fastest-growing non-alcoholic beverage. It’s made from real tea leaves and is known for a better taste profile. 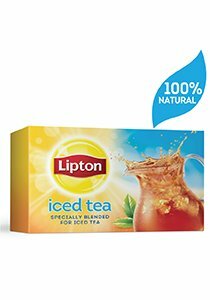 Lipton® Fresh Brewed Iced Tea is made with a special blend of real tea leaves for a consistently delicious, fresh taste.